IDAHO FALLS, Idaho (KIFI/KIDK) – Idaho Falls voters will decide whether to approve a $110 million bond to build a new high school and renovate an existing school in November after District 91 members voted to move forward with a ballot measure. Board members unanimously voted to put the bond on the November ballot. If approved, board members say taxpayers would not see an increase in taxes. “Because of growth and rising property values in the district, the bond would not require a tax increase,” the district wrote in a press release. The $110 million would be used to build a new Idaho Falls High School on a 58-acre site on 49th South between Holmes and St. Clair in Idaho Falls, and to complete an 80 percent remodel of Skyline High School. 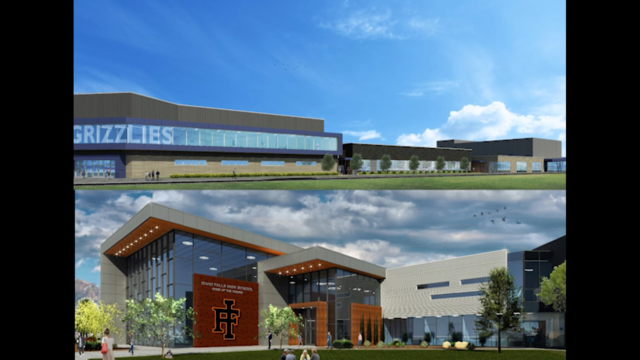 Plans for the new Idaho Falls High School would include modern classrooms, a learning commons where students can convene and collaborate and indoor athletic facilities, a press release said. The new property will be paid for with reserve moneys. Forty million dollars of the bond would be used to remodel Skyline High School. The new school would also have modern classrooms and learning commons for students. The district said both locations would allow for future growth and development, something the current location of Idaho Falls High School does not allow. If the bond is approved, work on both schools would begin in 2018 with work being finished by the start of the 2021 school year. Plans for the current Idaho Falls High Schools calls for it to be repurposed to serve other district needs with preliminary plans calling for it to house the district’s career technical programs. Voters will go to the polls on Nov. 7.